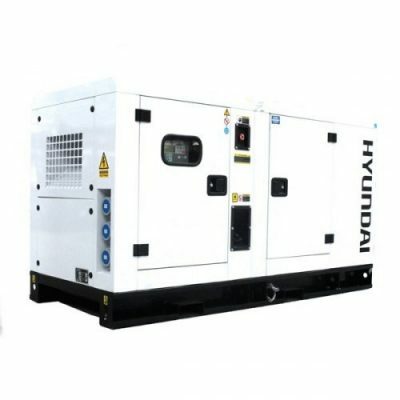 The Hyundai DHY28KSE 1500rpm 28kVA Three Phase Diesel Generator. Powered by the proven Hyundai HY4100 engine. The water-cooled 4 cylinder diesel engine producing a maximum output of 28Kw. The DHY28KSE is fitted with an AVR alternator. 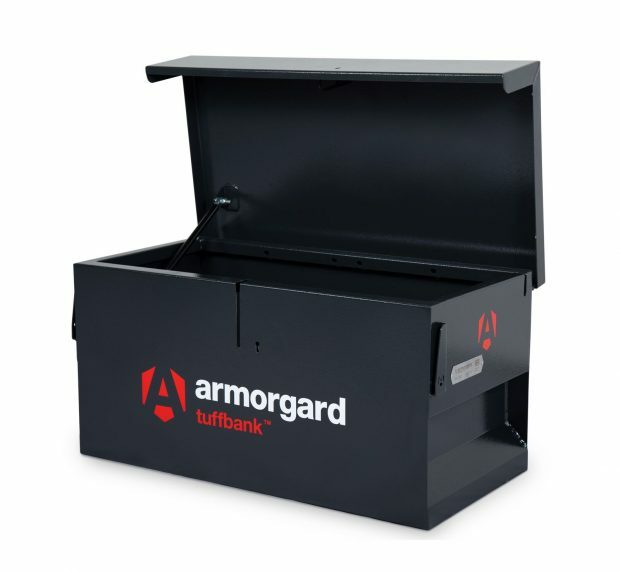 Allowing sensitive electronic equipment to be run safely. The DHY28KSE generator is a key start unit or can be connected to an ATS (Automatic Transfer Switch) system. With the ATS fitted the generator will cut in and out as required. Housed in a weather-proof silenced canopy, the Hyundai DHY28KSE 1500rpm 28kVA Three Phase Diesel Generator produces only 65dB @ 7 metres. Which makes it a quiet standby generator which won’t interrupt you at home or work. 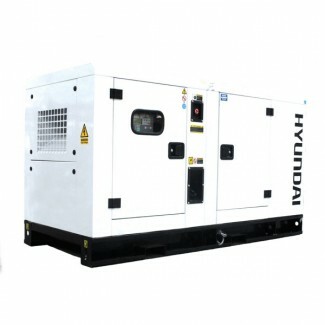 The Hyundai Generator DHY28KSE benefits from being an economical diesel unit. Equipped with a 93L fuel tank the DHY28KSE is a long-running standby diesel generator. At 50% usage, it runs on approx 2 Ltrs of fuel per hour running at 1500rpm.